The proactive approach to keep mission critical systems running. When disaster strikes communication is imperative. Having an immediately available communication service is crucial to minimizing both loss of life and damage to vital infrastructure. In a crisis, conventional communication channels are often unreliable or unavailable. Telco infrastructure may be damaged and cell phone networks overwhelmed by extreme call demand. 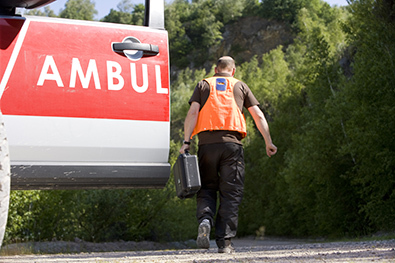 Frequently emergency teams need to respond to disasters that are off grid. In these scenarios, satellite communications is an effective and immediately available solution. To help you respond to an emergency, Infosat can supply your team with a fleet of satellite phones and set you up with a mobile command post. If you are in an emergency situation and need immediate deployment of voice or data services call us now at 1-866-249-1559 or submit this Emergency Contact Form. Who Needs Communication Links During an Emergency? Effective communication during a crisis saves lives and accelerates the recovery process.